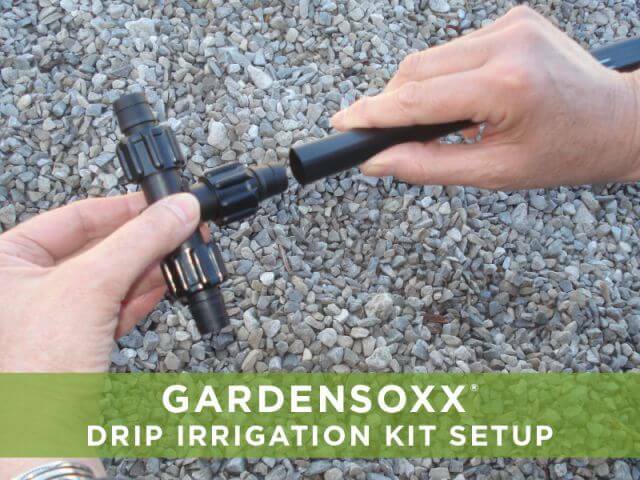 Water GardenSoxx easily and efficiently with our Drip Irrigation Kit. 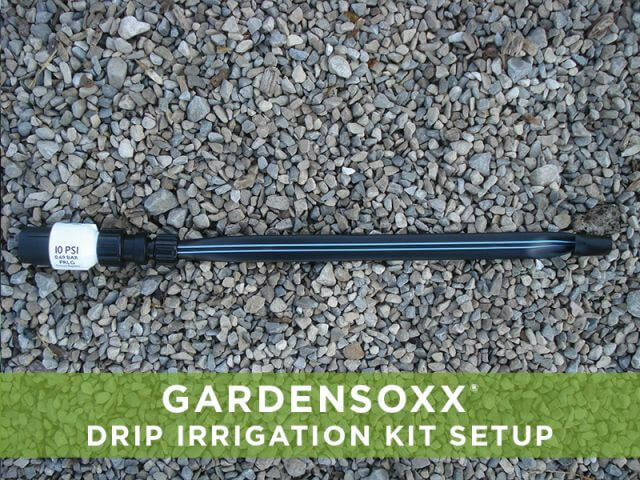 Drip irrigation is a series of connection tees and drip tape that slowly delivers water to the GardenSoxx®. 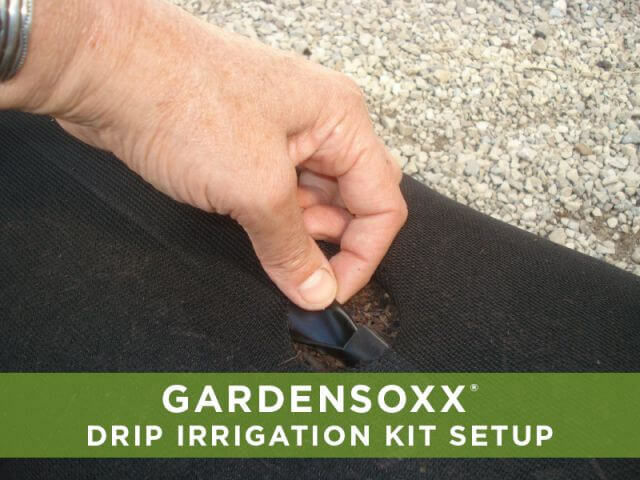 The system efficiently maintains the moisture content of the Filtrexx® GrowingMedia™ or compost, while reducing water usage, soil evaporation and surface runoff. 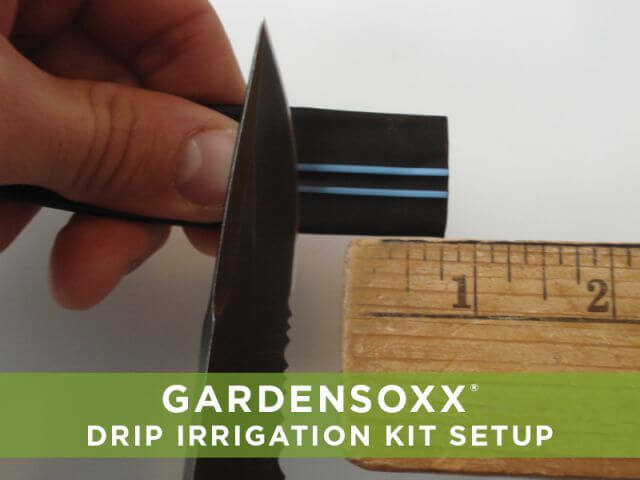 Cut off a 1” piece of Drip Tape making a clean, straight cut. Do not discard cut piece. 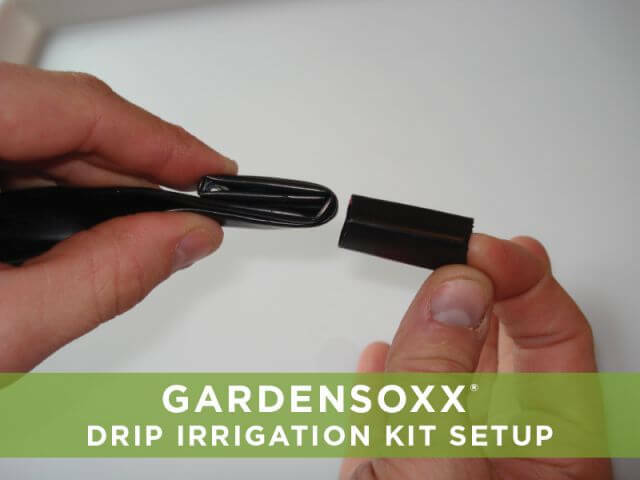 Fold the last 4” of Drip Tape in half lengthwise. 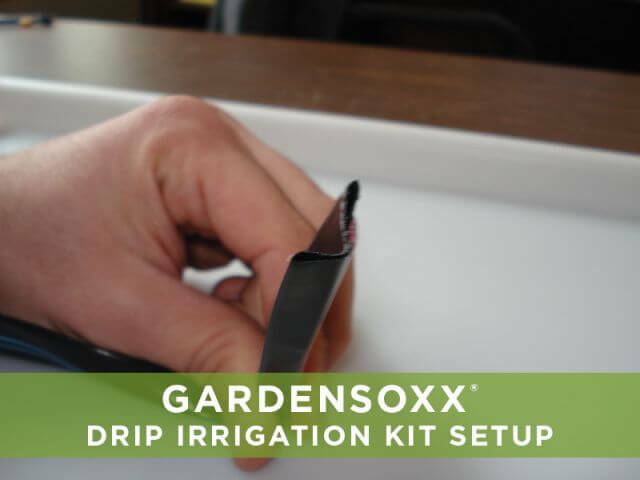 Fold the Drip Tape back on itself twice in 1” increments and slide the 1” cut piece over the folded end of the Drip Tape like a sleeve to close the end of the tape. 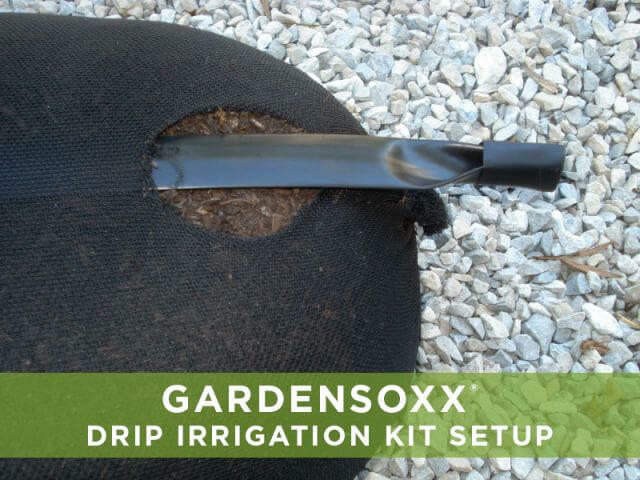 Slightly depress a groove in the top of each GardenSoxx along the top where the Drip Tape will go. 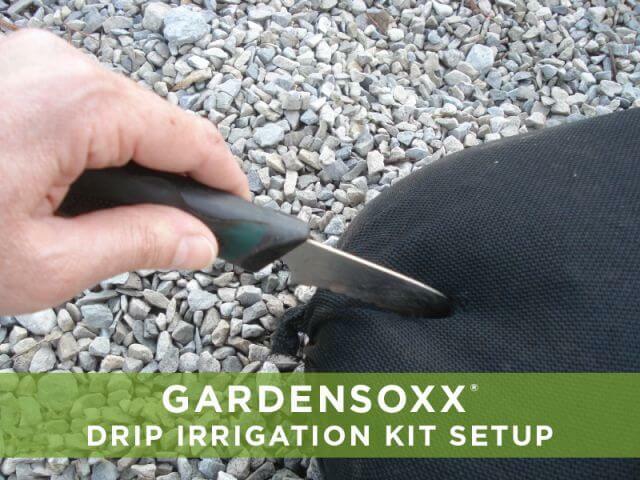 Cut a 1” hole in the first GardenSoxx of the row based on the desired configuration. Feed the Drip Tape from the cut hole and along the groove, with the drip holes (on some models this is the side with blue stripes) facing down. 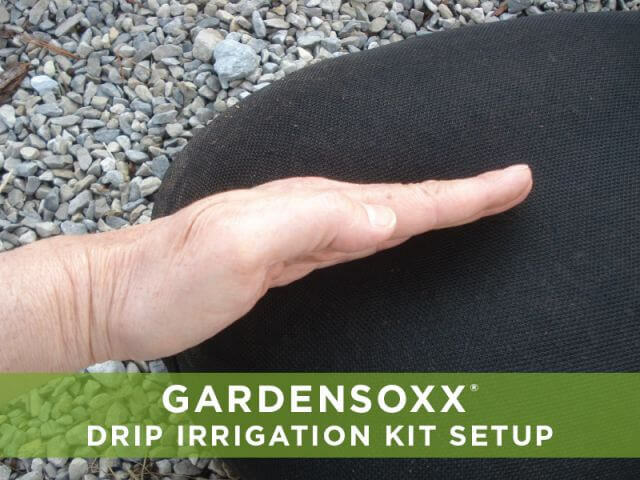 If the tape stops while feeding, do not force it. Cut a new 1” hole where the tape has stopped and continue feeding from this spot. 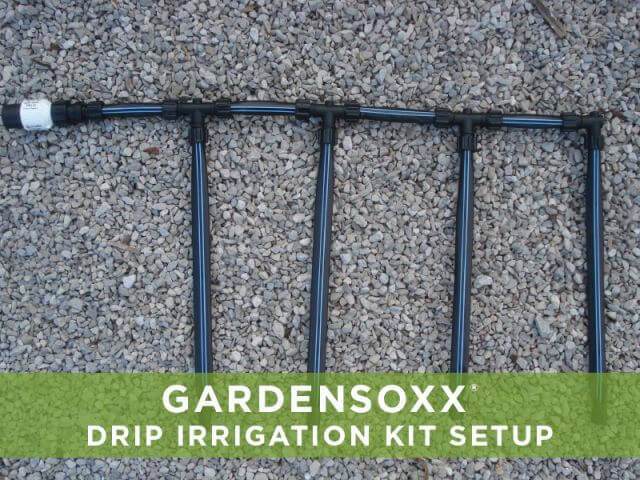 Cut a 1” hole at the end of the GardenSoxx and pull the drip tape through. 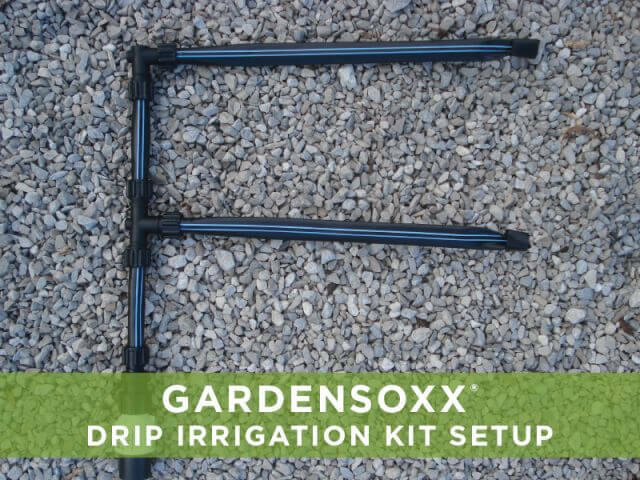 Repeat steps 4-8 until you reach the end of the row. 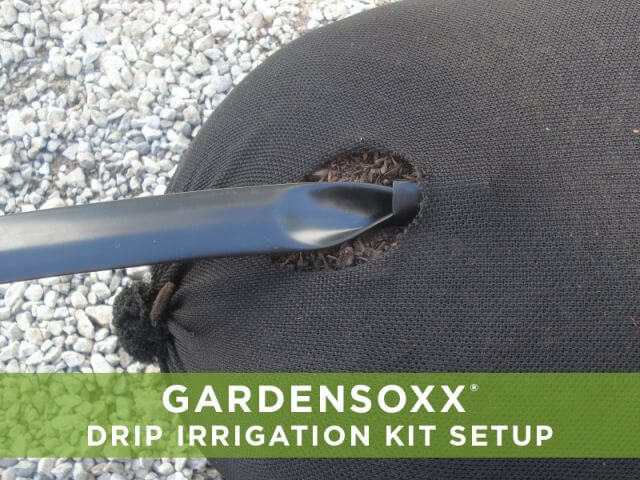 Cut the tail end of the Drip Tape and connect to Tees/Elbows in the desired configuration (see back panel) by sliding Drip Tape fully onto the nozzle and tightening the spin lock. 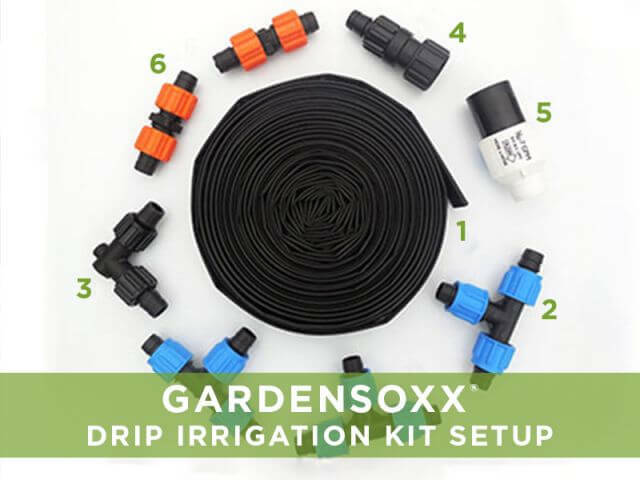 Once all the rows in the desired configuration are complete, connect the Drip Tape to the Hose Connection by sliding the Drip Tape fully onto the nozzle and tightening the spin lock. 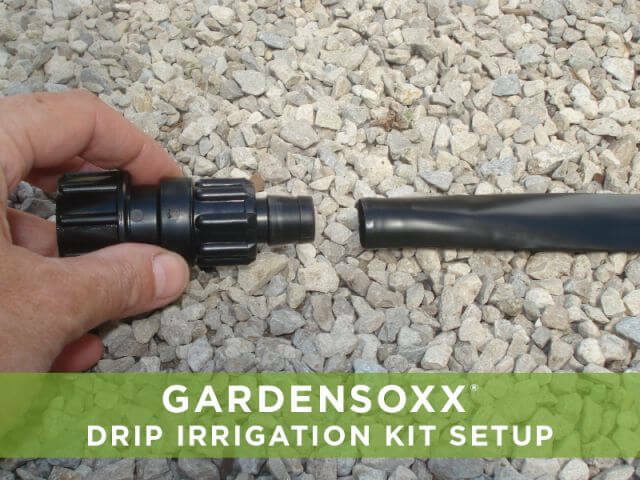 Connect the Pressure Reducer to the Hose Connection. 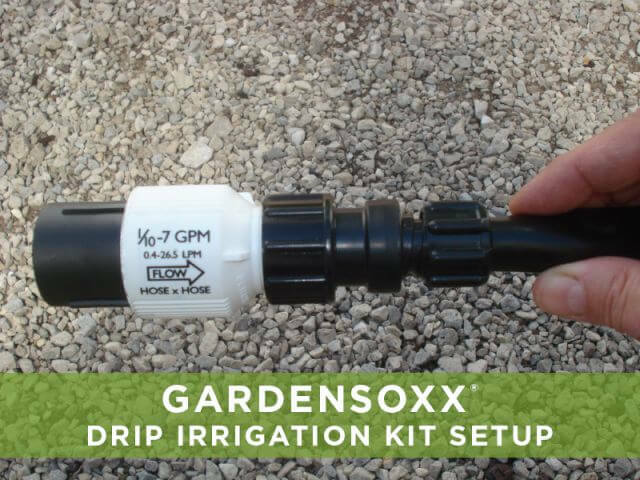 Connect to hose and slowly turn on the water to prevent over pressurizing.